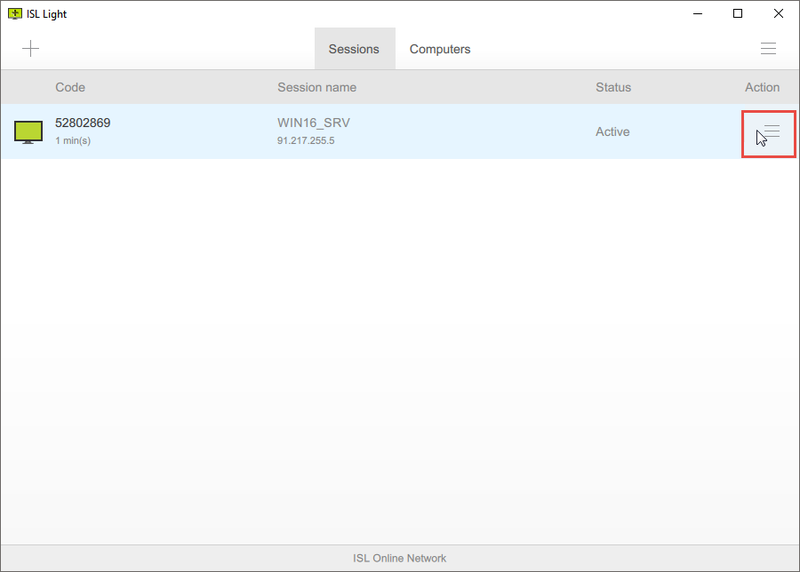 ISL Online supports inviting an additional operator (user) into an existing active session. There is no limitation on how many additional operators can be added to each session. 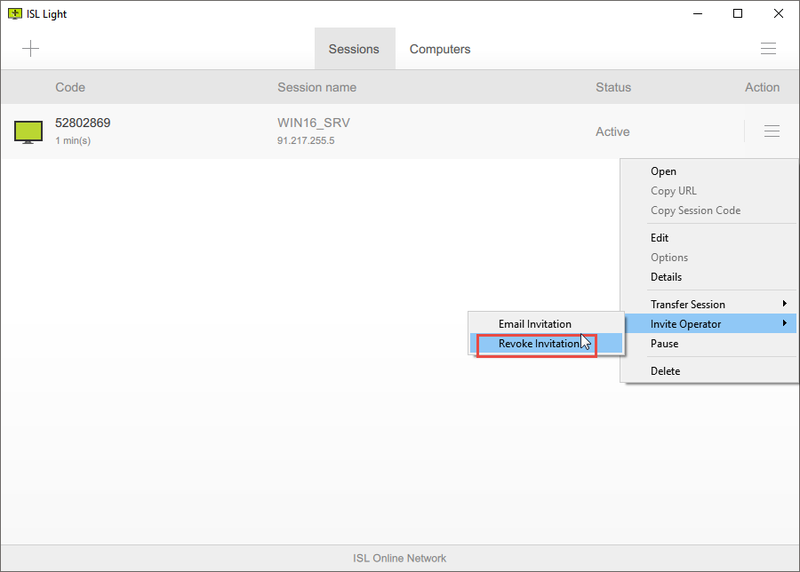 Click "Invite Operator > Email Invitation" from drop-down menu. 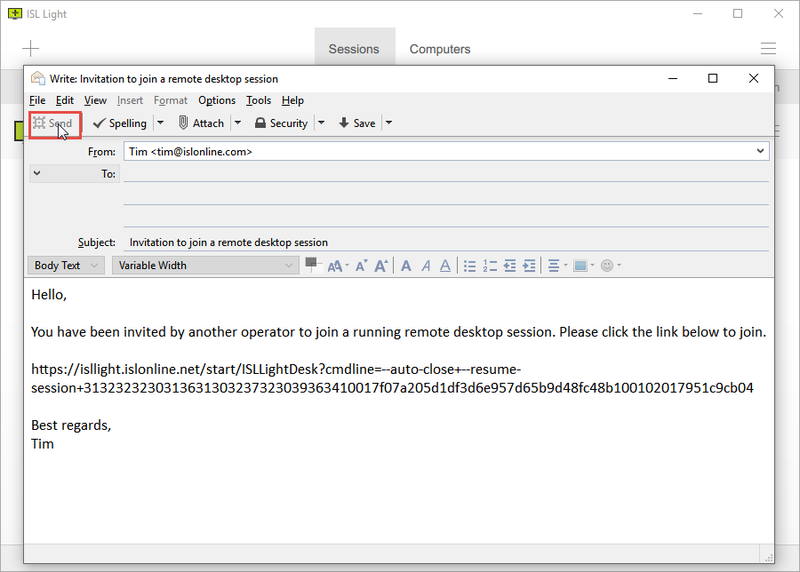 Fill in the operator's email address and click "Send" to send on the email invitation. 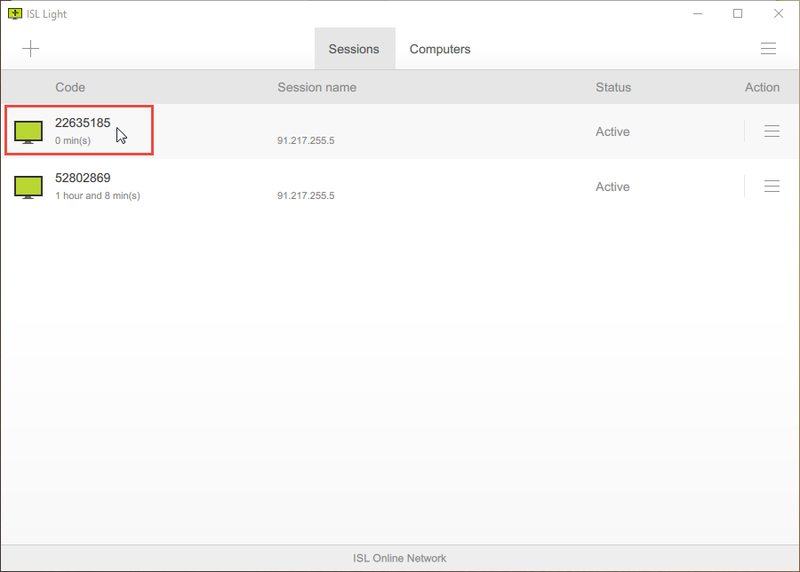 When invited operator joins the session, another session with different session code will appear in the "Sessions" tab. After sending an invitation, you still have an option to change your mind and to revoke your invitation. 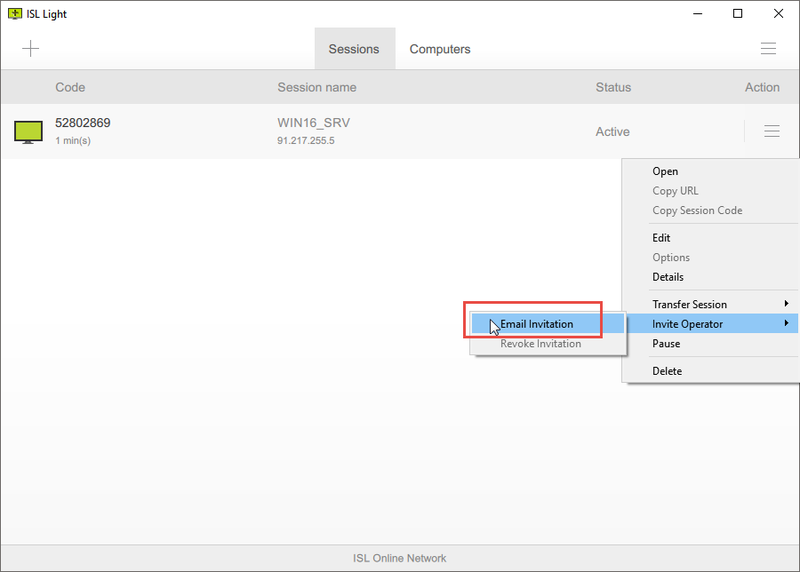 Click "Invite Operator" > "Revoke Invitation" from drop-down menu.